These offers are free with the purchase of the Author Cross Compact (2016) Bicycle. The Author Cross Compact is a hybrid bicycle with an Alloy 6061 frame. The bicycle weighs 13.1 kgs. This bicycle is equipped with a 3x7 speed shimano tourney drivetrain. The shifting is controlled by Shimano EasyFire 21-Speed shifters. The bicycle comes equipped with rim brakes. The bicycle has a Hi-Tensile fork. The tires on this bicycle are Author Speed Master, 700 x 42c with 27.5" wheels that are fitted on 36-holed alloy rims. The Price of the Author Cross Compact (2016) is Rs.28500. 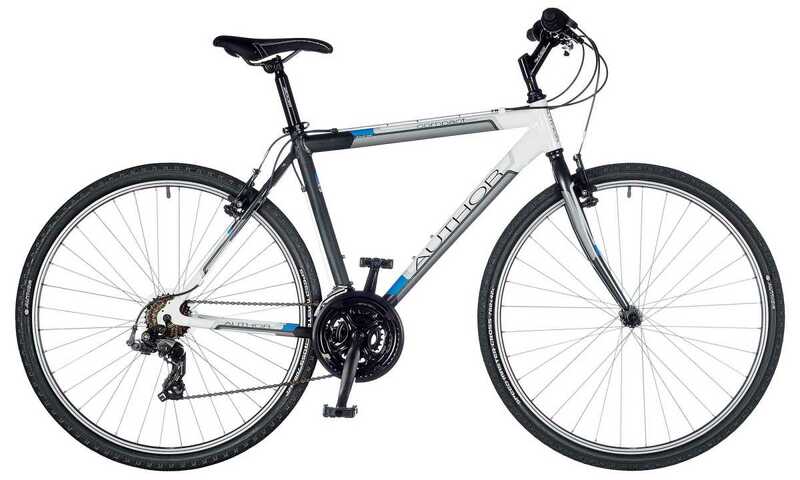 This is an ideal bicycle for someone looking for a bicycle with entry-level specs, at a reasonable price. The bicycle is ideal for both short and long distance city rides. Author is a Czech brand of bicycles, which started in 1993. Author Bicycles have a range of Hybrid bicycles available in India. 2. In what condition will I get the Author Cross Compact (2016)? 6. How will I know if Author Cross Compact (2016) will fit me without riding it? 7. How long will it take for me to receive the Author Cross Compact (2016)?